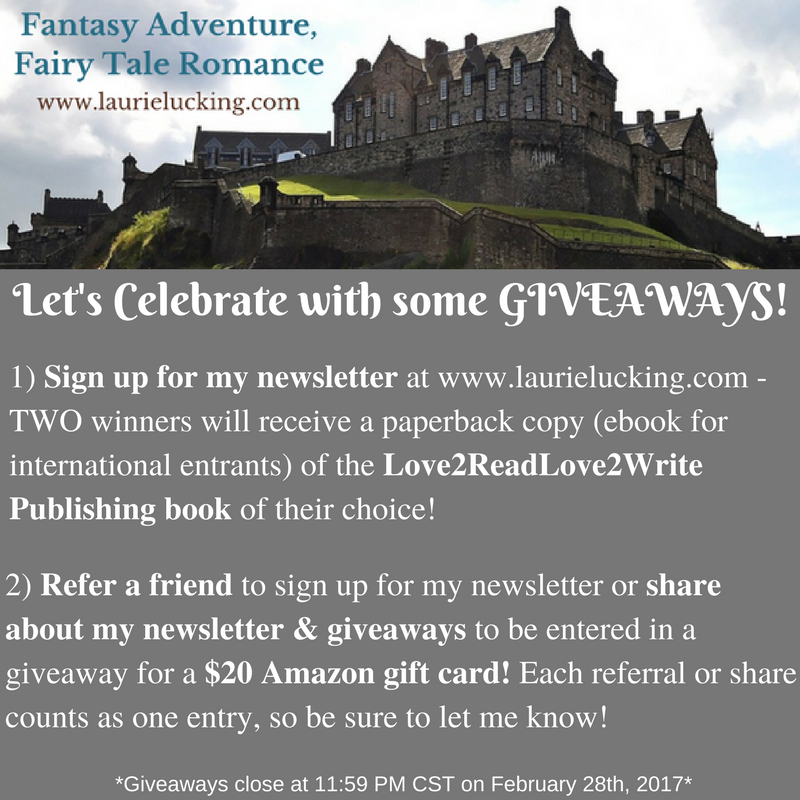 Laurie Lucking: I Signed a Publishing Contract!!! I Signed a Publishing Contract!!! I apologize that I missed posting in January, but I've been working hard behind the scenes, waiting to make this huge announcement... I SIGNED A PUBLISHING CONTRACT!!! My novel is a young adult fantasy (including some fairy tale romance, of course!) with a catchy new title: Common. It is the first book in my Tales of the Mystics series, and will release in early 2018. I can't wait to share it with you! Click on the "Books" tab above to find out more. That leads me to my other exciting news! To celebrate the start of my publishing journey, I'm launching my monthly newsletter! My goal is to make it fun and easy-to-skim (because I know you're all busy! ), and every month I'll be sharing my latest publishing updates, favorite quotes from books I'm reading, and an introduction to an author I adore. You can sign up by filling in your e-mail address in the box to the right, or by clicking here. But wait, there's more! To be entered in a drawing for a $20 Amazon giftcard, share about my newsletter launch and giveaways on social media, or refer a friend to sign up for my newsletter. Every share and friend referral will count as one entry - just tag me in the post or send me a message to let me know what you shared or the name of the friend you referred. The Amazon giftcard giveaway will also close at 11:59 PM CST on February 28th, 2017. Thank you for celebrating with me and helping me get the word out! I so appreciate your support, and I can't wait to take you along on my journey to publication! Thank you so much, Laura!! I so appreciate your encouragement and enthusiasm, and I can't wait to share my story with you!